A cod caught on fisherman Al Cottone&apos;s boat. The rapid warming of the waters off New England has contributed to the historic collapse of the region’s cod population and has hampered its ability to rebound, according to a study that for the first time links climate change to the iconic species’ plummeting numbers. Between 2004 and 2013, the mean surface temperature of the Gulf of Maine — extending from Cape Cod to Cape Sable in Nova Scotia — rose a remarkable 4 degrees, which the researchers attributed to shifts in the ocean currents caused by global warming. 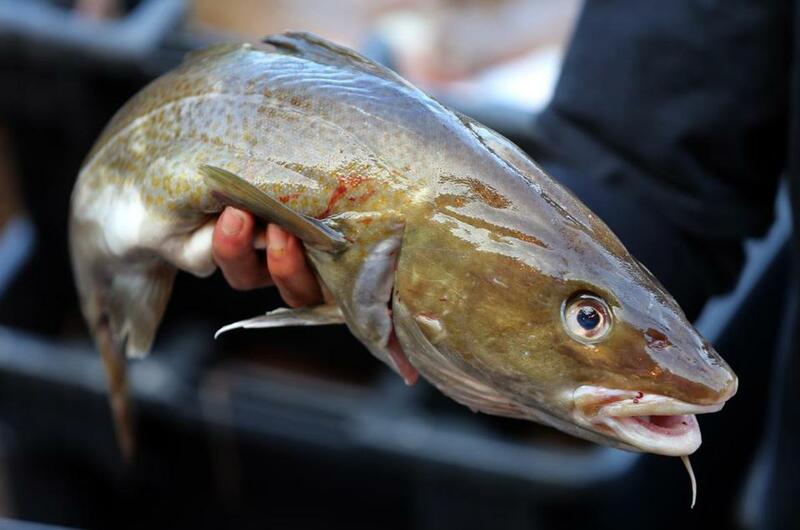 The study, which was released Thursday by the journal Science, offers the latest evidence of climate change — this time, affecting a species once so plentiful that fishermen used to joke that they could walk across the Atlantic on the backs of cod. Read: How does the government count the fish? The institute had reported last year that the rise in temperatures in the Gulf of Maine exceeded those found in 99 percent of the world’s other large bodies of saltwater. The authors of Thursday’s study link the rapid warming to a northward shift in the Gulf Stream and changes to other major currents in the Atlantic and Pacific oceans. The precise causes for the reduced spawning are unclear, the researchers said, but they’re likely to include a decline in the availability of food for young cod, increased stress, and more hospitable conditions for predators. Cod larvae are eaten by many species, including dogfish and herring; larger cod are preyed upon by seals, whose numbers have increased markedly in the region. The researchers also suggest that federal officials have miscalculated the number of cod in the Gulf of Maine. The faulty models, they said, led the officials to allow overfishing, enough that the region’s cod catch has fallen 90 percent over the past three decades. 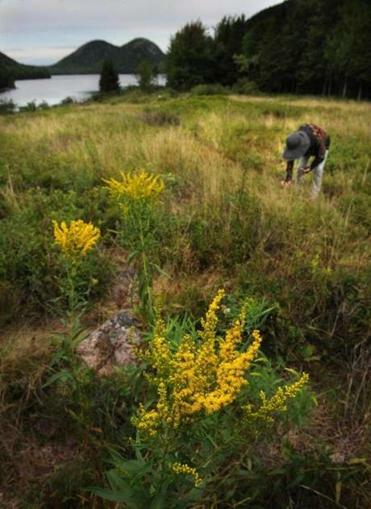 Federal officials said they weren’t surprised by the findings. “People have said that fish stocks are impacted by global warming for a long, long time,” said John Bullard, regional administrator for the National Oceanic and Atmospheric Administration, which works with regional officials to set quotas. Last November, after years of repeated NOAA surveys found a steady decline in the cod population, the agency announced a moratorium on all commercial cod fishing in the region through April. Afterward, officials permitted a small amount of cod fishing — at about 95 percent lower than the quotas had been. He said the agency’s current assessment methodology accounts for climate change, but it doesn’t explicitly quantify those changes. Any further action to change quotas or increase the number of areas off-limits to fishing would probably have to first be approved by the New England Fishery Management Council, which oversees the region’s industry. NOAA officials could also take emergency action on their own. “Fishery managers will need to adapt to the host of significant changes caused by the rapid rise in water temperatures in the Gulf of Maine,” said Tom Nies, the council’s executive director. A number of fishermen sit on the council, and for years many of them have resisted additional closures and cuts to their quotas for cod, which have been fished for centuries in the region. The massive catch once helped lure settlers to North America and helped finance the American Revolution. Many of them also dispute NOAA’s assessment methodology, arguing that the agency is undercounting the population; many fishermen say they have seen a resurgence of cod in recent years. Environmental advocates, however, said the study confirms what they have been saying for years: The government has been overestimating the cod population and underestimating their mortality rates. They also urged the council to reverse decisions they made this summer to lift fishing bans on Georges Bank and other rich fishing grounds in the gulf. “Science shows us that one of the best ways to help make fish populations resilient to the stress from climate change is to protect the places where they reproduce, grow, and find food,” said Peter Baker, director of northeast oceans for the Pew Charitable Trusts. The authors of the study said it’s possible that the past two winters, which were unusually cold, may have provided a boost to cod. But they said the numbers remain significantly lower than the historical average and the stocks are likely to continue to struggle as the gulf warms. Pershing said that’s what happened along the Grand Banks off Newfoundland, where cod vanished in the early 1990s after environmental advocates raised concerns for years about their declining numbers. But he shares some common ground with the fishermen. “We both feel like the current assessment and management system is not equipped to incorporate new information, either in the form of environmental changes like those we discuss or observations from people on the water,” he said.